What Makes JangoMail the right Choice for Higher Education? 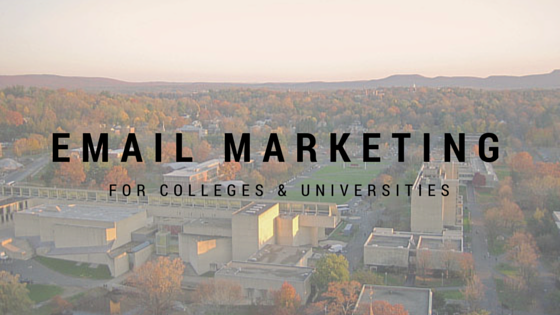 Email marketing is becoming more and more important for colleges and universities. Not only does it provide an easy way to communicate with potential students and their parents, it can also be used to keep in touch with alumni, and promote events and athletics. Higher education institutions used to spend a larger portion of their marketing budget printing and distributing bulky marketing materials. Now, email makes promoting colleges and universities cheaper, easier, and more efficient. In fact, it has never been easier to keep in touch, or to attract new students and benefactors using email. JangoMail has a number of higher education clients, so we asked them what set us apart from the competition. We found that most of the colleges and universities using JangoMail love our agency account setup. JangoMail offers a lot of flexibility with the way these accounts are configured. We tailor each account to the specific needs of the organization. A typical agency account has one master account with a number of subaccounts. Billing can be done on one invoice, or each subaccount can be billed separately. The subaccount feature allows each department within the organization to operate autonomously, while the organization retains the benefits of only using one email service provider. JangoMail also offers very competitive pricing options that appeal to higher ed. Pricing is straightforward at JangoMail and there aren’t any hidden charges. JangoMail does not charge based on email file size, only the number of emails sent. This provides significant cost savings for colleges and universities that maintain huge email lists (like lists for each graduating class), but only mail a small portion of these lists. Institutions for higher learning also enjoy features such as: unlimited list storage, advanced personalization options, HTML editors, email preview tool, email-to-website tracking, SPAM content checker, and superior customer support. These features make it easy for novices and experts alike to create and deploy professional HTML email campaigns. To learn more about JangoMail for higher education contact us at 1-888-GO-JANGO and ask for Lauren or visit us on the web, be sure to add higher ed to the comments section. Experience everything JangoMail has to offer. No credit card or contract required.